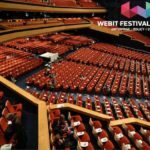 The topic will be continued in 2018 with a separate 2-day event called Webit.Health co-chaired by Plamen Russev, the Chairman of Webit Foundation and Prof. Shafi Ahmed, Co-founder and surgeon of Medical Realities. Make sure to book your tickets now, at the Super earlybird price here. 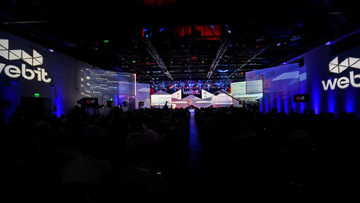 2017 health Summit saw some of the biggest companies’ representatives in the world sitting together in a panel discussion – Rumyana Trencheva, Managing director SAP SountEast Europe, Mr Omer Saka, Partner at Deloitte, Dr Stamen Popov, General Manager Oncology of Novartis and Milena Stoycheva, CEO of JA Bulgaria, moderated by Dr. Rosen Dimitrov, Public Affairs Manager at Novartis. You have a vast experience in healthcare and innovations and wish to tell us about it – apply for speaking here. Ms Trencheva gave a good start of the discussion assuring that megatrends all over the world are not something selected, they are not happening in selected, VIP, countries – they are spreading. The contemporary consumer is demands more and more from the pharmaceuticals, from the technology companies and it is becoming ever more challenging to make sure consumers’ needs are met. Another megatrend that was clearly stated by Mr Saka is the change of our perception on what healthcare is do we mean a pill, a medical device of some kind or a hospital bed. The key solution is finding a way for these three elements to work together in the modern healthcare system. Furthermore, the matter of how much we, as consumers, pay for healthcare came to forefront. It is expected that in the next 10 years or less patients will be treated and will be provided with solutions that go beyond the pill – and this is for the mass, not only for the selected ones who can afford it. 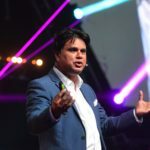 Dr Popov clearly stated that pharmaceutical companies no longer rely on the pill as a method of treatment – they broaden their vision using the digital technologies and these solutions will very soon come to patients who need them. This gives a huge advantage – transparency. Each of us, as human beings, is a data center, based on the choices we make every single day. In fact, transparency in healthcare system is a major block each of the technology companies all over the world are trying to achieve. It is considered that people nowadays take more and more care of themselves – in the form of wellness. We will have a huge number of population taking great measurements to maintain their health; in order to survive, people will take ownership on one’s health, environment and the ecosystem as well as putting efforts into changing the ecosystem. Finally, all these megatrends are impossible to happen without collaboration of technology companies, startups to bring fresh ideas and doctors. There’s no need for an engineer to develop an app by himself when they clearly don’t know specifics, rather, it is the healthcare industry to develop and change the ecosystem. Going out of the pharmaceutical industry, the biggest companies are also working on building connections with physicians and to use these relations to integrate new type of companies into this world. 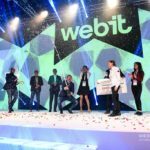 Webit.Health will continue this kinds of discussions in 26th – 27th June with ever more interesting guests who will show in action and demonstrate the modern healthcare – something that is happening now, not some time in the future. If you have an interesting idea and your company is less than 5 years old – show it by applying here.